Director of the CIA Mike Pompeo did not attend his scheduled appearance at an Harvard Institute of Politics forum event Thursday in protest of Chelsea Manning’s appointment as a visiting fellow at the IOP. Attendees showed up at the event only to hear Dean of Harvard Kennedy School Doug Elmendorf announce that Pompeo would not be speaking. Later in the evening, the CIA released a letter from Pompeo confirming he pulled out of the event because of Manning’s appointment. Manning, a former U.S. Army soldier and transgender rights advocate, was sentenced to 35 years in prison for leaking over 700,000 military documents to WikiLeaks—the largest leak of classified records in American history. In January, former President Barack Obama commuted her sentence, and she was released from prison four months later. 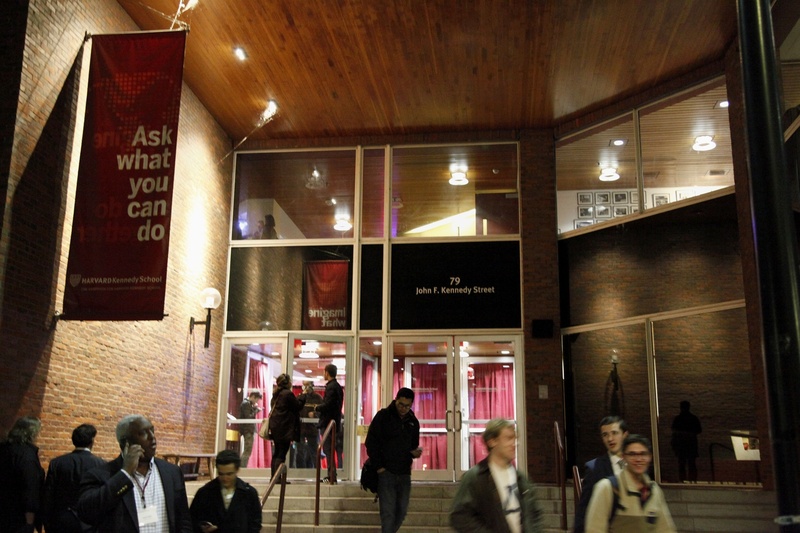 Spokespeople for the Kennedy School did not respond to requests for comment Thursday night. Pompeo’s cancelled appearance came hours after Michael Morell, a former deputy director of the CIA, resigned from his Senior Fellowship at the Belfer Center at Harvard Kennedy School. “Unfortunately, I cannot be part of an organization - The Kennedy School - that honors a convicted felon and leaker of classified information, Ms. Chelsea Manning, by inviting her to be a Visiting Fellow at the Kennedy School’s Institute of Politics,” Morell wrote. On Twitter, Manning fired back, retweeting Morell’s resignation letter and writing one word—“good”—followed by several emojis. Elmendorf announced Pompeo’s cancellation to the crowd at the event Thursday night. “I’m very sorry to have to announce that the CIA Director will not be speaking here tonight. He has had other—well, I think he will have to speak more specifically later to why he is not here, but he is not here, he will not speak, we’re very sorry about that,” Elmendorf said. Pompeo and Morell’s actions were part of a broader conservative backlash, both on campus and around the country, to Manning’s appointment. “It is a shame that the IOP has decided to give a platform to someone who is so diametrically opposed to the values of patriotism and public service that are embedded in its mission,” Haeffner wrote in a statement. Others on campus defended Manning. Noah R. Wagner ’18, a member of the Harvard Trans Task Force, speaking in a personal capacity, praised the IOP for appointing Manning. “Whistleblowers like Chelsea Manning are exactly the people that we need, shedding light on the atrocities and injustices for which the U.S. military is responsible, and for which there is rarely transparency or accountability. She’s also a personal hero of mine and a hero for many members of the trans community,” Wagner said. Several conservative politicians took to Twitter Thursday to applaud Morell and lambast Harvard. “Well done, Mike. And abject shame on Harvard,” former presidential candidate and Massachusetts governor Mitt Romney tweeted. Members of Congress also weighed in. Senator Ben Sasse called Morell’s letter “a good reminder that National Security matters and integrity matters,” while Representative Liz Cheney of Wyoming said Harvard’s federal funding should be cut for hiring Manning. Julian Assange, founder of WikiLeaks, used Morell’s resignation to congratulate Manning. “Great work @xychelsea! Mike Morell is serial fabulist and a torture proponent. Hazard to Harvard. Blight on students,” Assange wrote on Twitter. —Staff writer Lucas Ward contributed reporting.